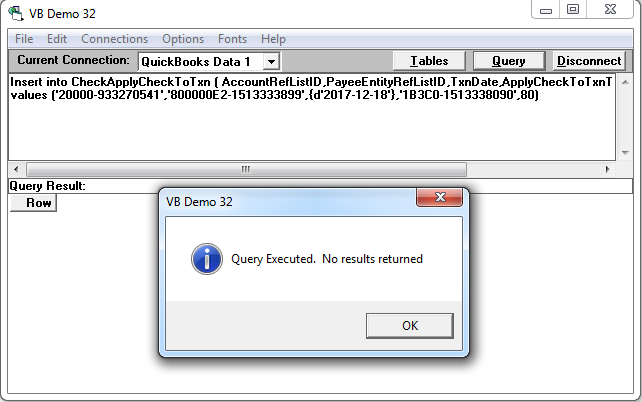 How can I apply a refund check to an existing credit memo using QODBC? 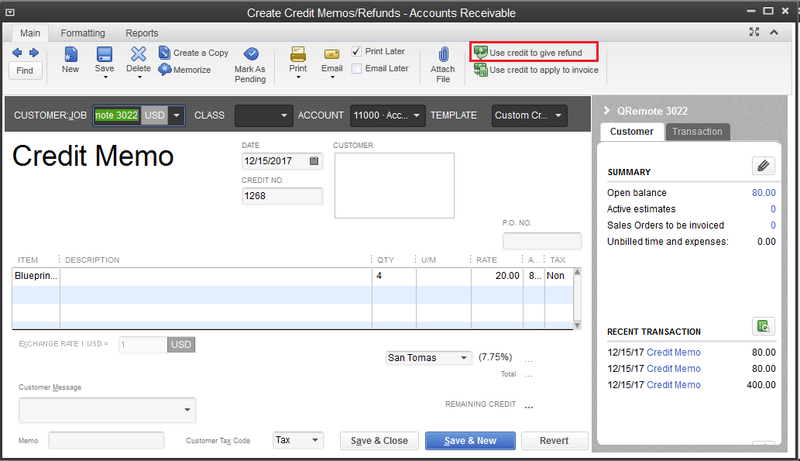 In QuickBooks, I can refund by opening the Create Credit Memos/Refunds dialogue box using the QuickBooks UI and find the credit memo for that customer. 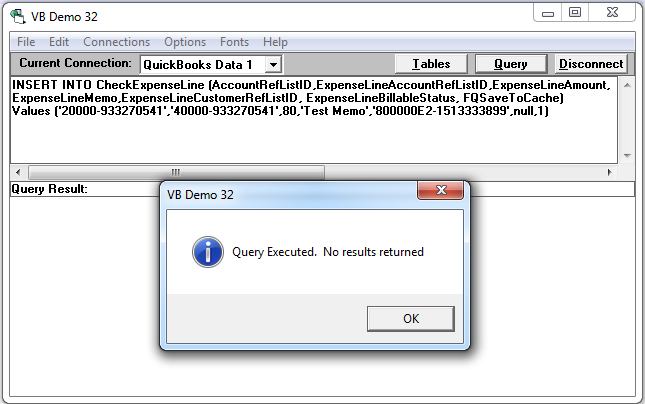 In the dialogue box icon bar, click on the "Use credit to give a refund". 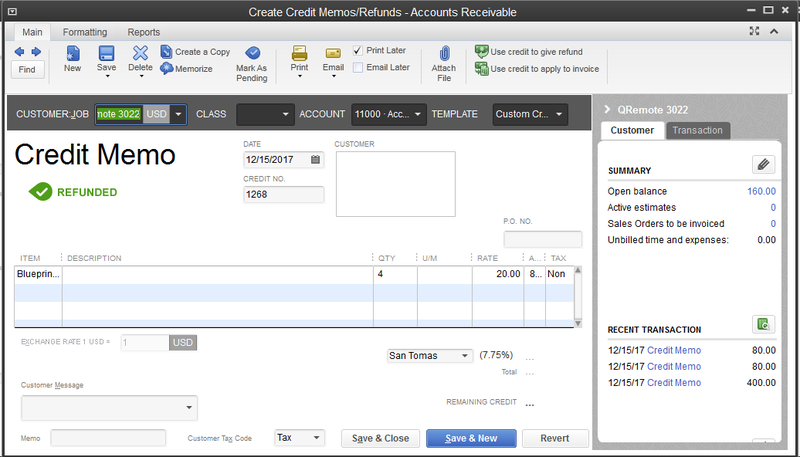 After executing above queries, you can see CreditMemo as Refunded in QuickBooks. 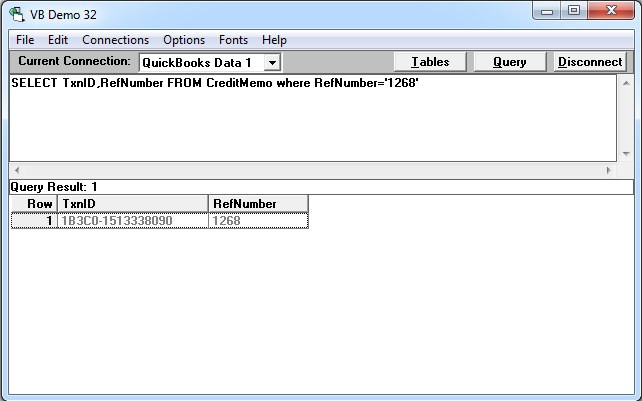 You can get ApplyCheckToTxnTxnID from TxnID field of CreditMemo table for that particular Transaction by using below query.